Ex-England cricketing international Ian Austin's final first class season with Lancashire was his benefit season. As part of that year a number of events and dinners were planned and charity auctions of sports memorabilia were to be a part of those events. But for Ian, the memorabilia on display could have been so much better. "There just wasn't the attention to detail. The sports collectibles we were auctioning would have mattered so much to some of the people at the events. But the way they were cared for, presented and framed didn't feel right. These are little moments of sporting history. I felt they deserved better." A fan of all sports, Ian set about establishing a home of sports collectibles that people could rely on. He wanted to establish a store where each item of memorabilia was displayed with attention to detail and framed with quality and care. "When you see items of sports memorabilia from your own career - that's when you realise," he explains. "These aren't merely signed photographs or shirts or programmes. They're a record of the things I achieved as a cricketer. To the people who own them they matter as much as they mattered to me. We're all custodians of these small pieces of sporting history. That's why caring for them matters." 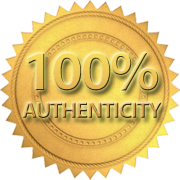 Authenticity is essential to any piece of sports, movie or music memorabilia. Ian's history and connections mean we're able to gain signatures others can't. And as the business has grown, those same connections have allowed him to access authentic music memorabilia and genuine movie collectibles too. It's this mix of authenticity, care and personal connection to the memorabilia that makes Sports Legends different. If you have a question about any of the items for sale on this site, or you'd like us to source a specific autographed collectible, contact us. You can read more about Ian Austin's career here. View our signed sports memorabilia, music memorabilia and movie memorabilia.